Many people are unaware of the difference between vape pen and a hookah pen. A vape pen or portable vaporizer is generally the term used for a cannabis vaporizer, whether it be to vape dry herb, wax or liquid. 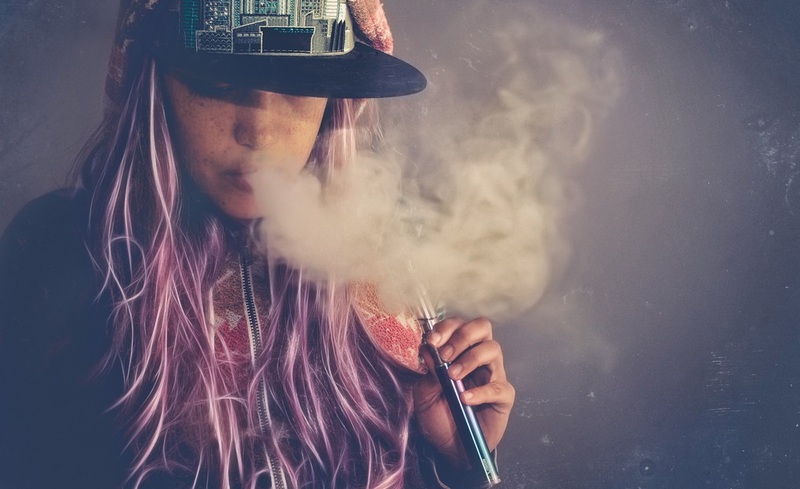 A hookah pen is the term used to describe something similar to an e-cig. Hookah pens can be enjoyed with or without nicotine and are popular for the easy to use flavor enjoyment. A	Vaporizer pen whether it be used with cannabis, tobacco, herbs or liquids are under constant use. Because they are under a high degree of use a vaporizer pen must be durable and well maintained, with parts getting worn and perhaps needing replaced, the material you choose to use such as cannabis and nicotine or e-liquids need to be re-stocked. A hookah pen is more designed to be used for recreational outings and even in social happenings. As a hookah pen is not under constant use in the same degree that an vape pen is, there is usually no need to worry about replacing its components. A hookah pen can be completely disposable, and as soon as it runs out of juice, it can be thrown away. In recent years we are now seeing more premium hookah pens that can be reused more similar to that of a vape pen. In this sense a vape pen can encompass all sorts and styles of vaping. Another main difference between vape pen and hookah pen is the disposable nature of a hookah pen combined with the lack of tobacco/nicotine means they are a great deal cheaper than e-cigs. In the case of disposable hookah pens vs the traditional vape pen, a difference is in the way that they operate. Vape pens will come with either one button to turn on when you want the device to heat up, or also can have multiple temperature settings, while a disposable hookah pen may have no such button and be activated through the suction of the user. This makes disposable hookah pens a great choice when going on something like an extended camping trip where electricity/power is scarce. In comparison of a hookah pen and a traditional desktop hookah, there is also a difference. Desktop hookahs are considered to be luxury premium items. It can take a user up to 5 to 15 minutes or so to prepare it, while a hookah pen is ready on demand. The desktop hookah can last for many hours though at a time. Desktop hookahs are also designed to be used with shisha and tobacco while disposable hookah pens are typically not. Hookah pens are similar to e-cigs and e-cigs are the modern day hookah pen. Since e-cigs can be used with or without tobacco/nicotine they have taken a large part of the market from the pen hookah market. However due to the long lasting nature of a hookah pen, the many different flavors, the usability without power, and the more open age range due to not containing nicotine typically the hookah pen is still a very popular item. Thank you for reading our article on the difference between vape pen and hookah pen. If you found this article helpful please continue browsing. We have many posts on new and innovative devices being released to the portable vaporizer market. Here we have a look at some of the top portable vaporizers on the market in 2017. We are going to take a closer look at the PAX 3, DaVinci IQ, Dipper, Hydrology 9, and the G Pen. The Portable vaporizer market is growing very rapidly. In just a few short years the amount of portable vape companies and vape enthusiasts has sky rocketed. Factors influencing this include the health benefits that vaporizers provide as well as new laws and regulations being passed all over the world. 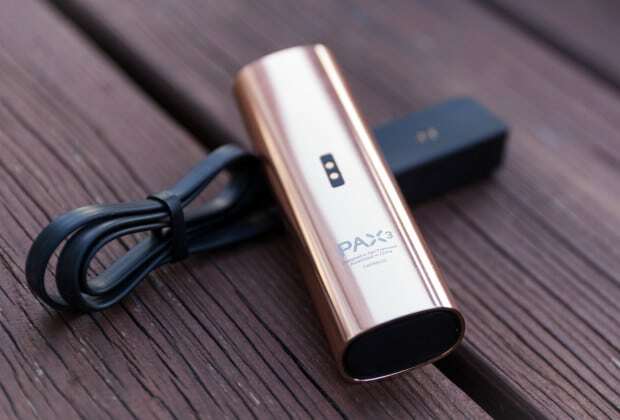 Portable vaporizers continue to get more innovative, smaller, smooth, last longer, optimize your vaping materials, and as of lately they connect to your smart phone or other mobile devices through the use of an app. Lets take a look and see if we can choose the best portable vaporizer 2017. Shown in the comparison chart above is the PAX 3 and the DaVinci IQ. The PAX 3 being a concentrate and dry leaf vaporizer while the DaVinci IQ is a dry herb only vaporizer. The PAX 3 portable vaporizer is the offspring of the PAX 2 and the PAX 1 before that. Both of these predecessors came highly recommended and received great reviews for many years. This time around PAX has improved on their device with a few new features. 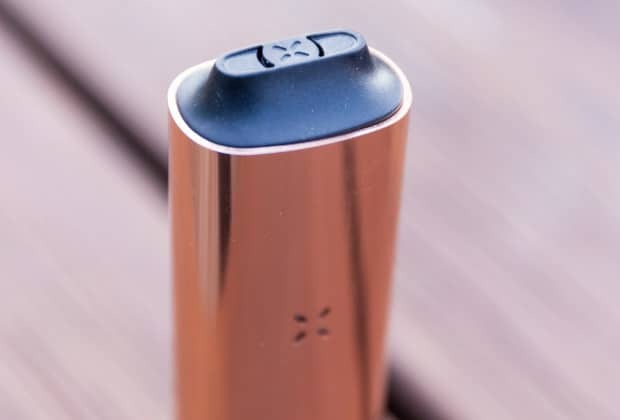 The PAX 3 is twice as strong as the pax 2, has a much strong battery, vaporizes more than just dry herb, and connects to your smart phone with Bluetooth technology. The PAX app allows you to select your desired temperature with more precision than what is typical for a portable vaporizer. Many portable vaporizers have a pre set list of 3 or 5 temperatures that you can choose from. The ability to select from a range is nice. The feature is shared by both the DaVinci IQ and the PAX 3. When comparing the PAX 3 and DaVinci IQ you can tell from the chart above that one offers some features that the other lacks. Overall, both products have great reviews and would be a solid purchase. The Grasshopper Steel and Titanium Vaporizer Pens are state of the art. Grasshopper Vaporizers are made with a life time warranty, have a temperature dial, led lights, super fast heat up time, connectivity to 14mm pieces, and look very stylish. If you have not looked into the Grasshopper vaporizers we suggest you do. You can read more here on the Grasshopper Vaporizer Review 2017. Best portable vaporizer 2017 - Looking for a Dab Pen? If you are looking for a portable vaporizer that is designed for concentrates only, we suggest you have a look at the Dipper from dipstick vapes. The Dipper is a unique dab pen that converts from dabbing to loading. The ability for a dab pen to do both is pretty neat, and the first model from the dipper known as the Dip Stick received strong reviews. Read more about here on the Dipper Vape Pen Review. The Hydrology 9 Vaporizer is a new portable water filtration dry herb vaporizer. It looks like it came right out of a sci fi movie. The water lights up and looks like a lava lamp. You can fill it with nice icy cold water, the oven has a stir stick built into it, and it has a pretty strong battery. This is a water vaporizer bong, so if you were looking for a cross between a bong and a portable vaporizer this is it. Read more about the Hydrology 9 Vaporizer here. Check back on this page shortly we will be adding some more innovative vaporizers being released in 2017. The year has just begun and we already have some solid portable vaporizers to choose from. You can subscribe to our e-newsletter below to get notified on the newest and best devices. Thanks for reading our article - best portable vaporizer 2017. As it stands the PAX is still on top - View PAX official site here. Every year tons of portable vaporizers enter the market. Many consumers think that just because a product is newer that it is better than one's made in the past. This is not true and especially in the field of portable vaporizers. The vape industry continues to grow year after year and shows no sign of slowing down. The Best Vape Pen of 2017 may be one that has existed in previous years and still into 2018 and 2019. Here we take a look at some of the newest portable vaporizers to find the best vape pen of 2017 and beyond. If you are looking for your first vaporizer ever, you should find one that you really enjoy using. Here are a few of the most recommended vaporizers available today. ​CBD products are on the rise! Cannabidiol is the second most commonly found compound in the cannabis plant. Cannabidiol or CBD for short does not cause any psychoactive effects and many people are using it for a healthier way of living. 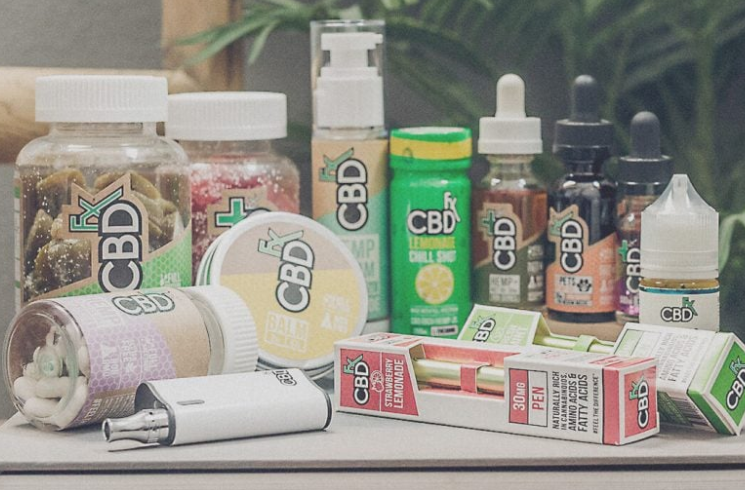 Here are a few of the most recommended vaporizers available today that you can use with your own newly bought 300mg CBD vape oil. In this article we are going to touch on the companies PAX Inc., DaVinci, DipStick Vapes, Cloudious9, Haze, Atmos, Grenco Science and V2. These are all well known industry brands that have devices that are considered to be among the best vape pens of 2017. Portable vaporizers is an umbrella term that applies to many different types of vaping devices. It is important to understand what you are looking for so that you can choose the right type of device. Portable vaporizers are designed to vape dry herbs, oils, waxes and e-liquids. Some devices are designed to only vape a specific type of material while some are designed to vape more than one. The PAX 3 is the first vaporizer in the PAX family of portable vaporizers to vape both dry herb and concentrates and is possibly the best vape pen 2017. The PAX 3 vaporizer is one of the smallest and discrete units you can get. Despite its size the PAX 3 is very powerful and pretty very fast. With a 15 second heat up time it is among that quickest portable vaporizers. One of the biggest perks of the PAX 3 is that it comes with a warranty of 10 years. You are able to use and monitor the PAX 3 vaporizer with the iOS and Android application that PAX offers for free. With this app you are able to try different precise temperature levels. You can visit the PAX official site to learn more. Ranked as the new top portable vaporizer among almost all vaporizer review sites is the Firefly 2. 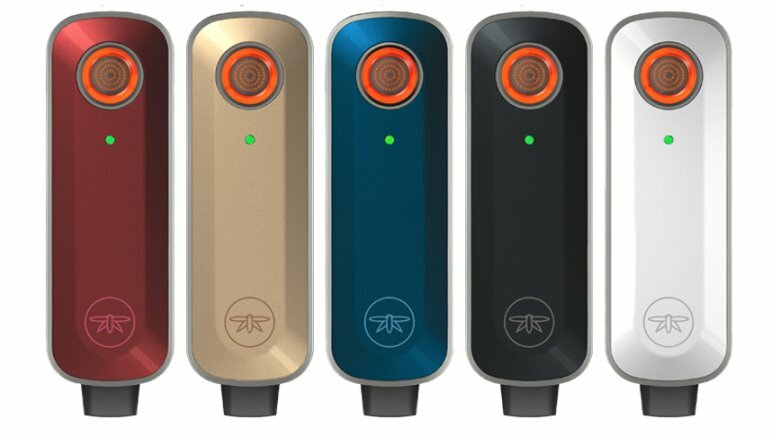 The Firefly 2 is a very unique convection style vaporizer that uses on heating. Convection vaporizers are designed to optimize your material by heating at a more evenly dispersed temperature. The firefly 2's design allows for the heat to also cool down before it enters your mouth. The Firefly 2 is one of the most premium portable vaporizers on the market, but it will cost you! The Firefly 2 retails at $329.95us here. The Firefly 2 is said to be the worlds fastest and most efficient vaporizer. The design for the Firefly 2's convection vaporizer was made by a former Apple design manager. The Firefly2 only heats up while you inhale, which allows for you to get the most flavor out of your plant material. Other convection and conduction vaporizers that stay on for the length of your session dry out your material and waste a great deal of it when your not inhaling. Here are a few more tid bits that you get with the Firefly2 vaporizer. the lid which has a window on in allows you to see your material as its getting vaped. The lid is magnetic and is raised slightly in its center which allows the air to flow from the bowl to your mouth while it cools down the vapor. The mouthpiece is removable and easy to clean and maintain. The bowl contains laser drilled micro jets with a fresh air intake. The fresh air intake helps to add an additional cooling element that is unique to the Firefly2. The sides of the Firefly 2 have touch sensors, and the air chamber is made with borosilicate glass which again helps to keep things cool. Built with on demand technology, capable of vaping both flowers and concentrates, heats up in just 3 seconds, contains 2 very powerful batteries, and pairs to a smart application on your cellphone. The Firefly 2 is rated to be on of if not the best portable vaporizer on the market today. You can pick one up here from the Firefly official site. 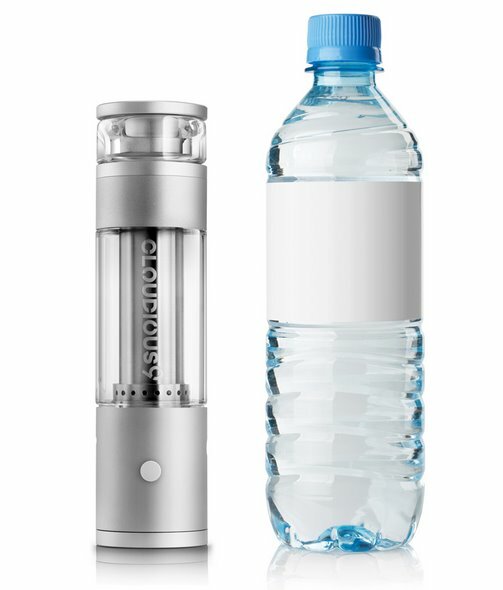 A brand new vaporizer concept for portable has just recently been introduced by the company Cloudious9 with their portable water filtration vaporizer called Hydrology 9 (seen in image above). This is one of the most exciting new products to be entering the market and has many heads turning. The Hydrology 9 is the first portable water vape bong of its kind. 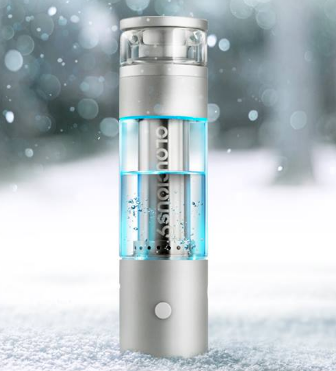 With built in LED lights, a built in stir stick, space grade materials, leak proof design, and large battery power the Hydrology 9 is a device to keep an eye out for. The release date has not been given but it could be any day now that you can place an order. You can stay up to date on the Hydrology 9 here. You can also read a detailed review on the product and watch a video on it by reading our Hyrdology 9 Vaporizer Review. Seen in the image above is the Hydrology9 compared to a normal vending machine water bottle to give you an idea of the size. We actually thought the portable water vaporizer was a bit larger than this when we first saw the concept designs. The Hydrology9 water bong vape is now available by visiting the official site here. If you are looking for a device that can work with all types of materials, a highly recommended device is the V2 portable vaporizers. TheV2 series 3x and series 7x vape pens are designed to vape loose leaf, concentrates, and e-liquids. They are very affordable devices that are backed by a well known brand. You can see these vapes in the image below - read more on the V2﻿ 3 in 1 vape pen﻿s here. V2 will soon be releasing their brand new device called the V2 Pro Series 9. 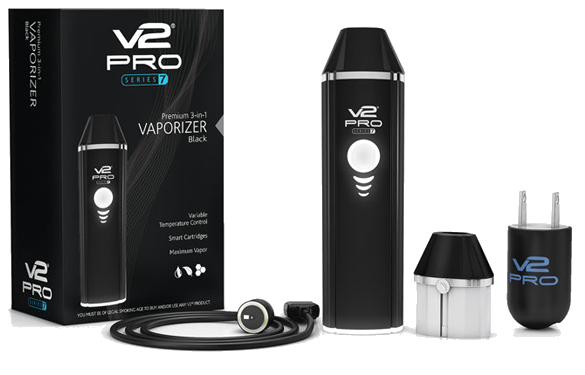 The V2 Pro Series 9 is a state of the art advanced 3 in 1 vaporizer that can vape flower material concentrates, and e-liquids. 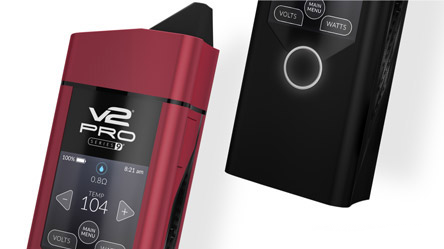 The V2 Pro Series 9 has a touch screen interface built into the device itself. Seen in the image below is the concept designs that we hope to see come to market very soon. 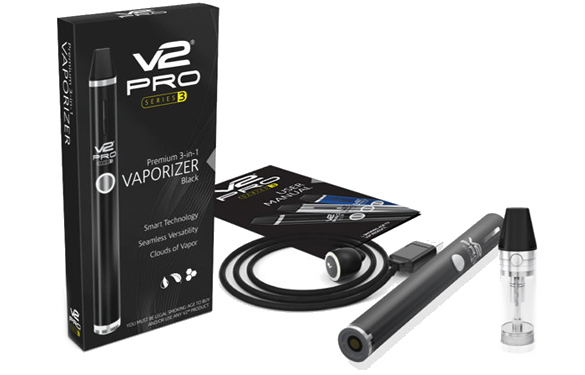 V2 is one of the largest portable vaping manufacturers that caters to both the cannabis and eliquid industries. 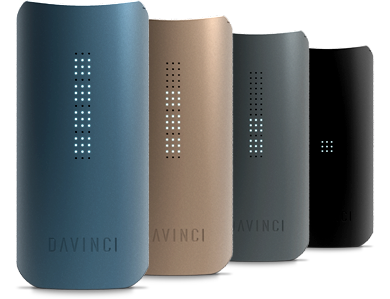 The DaVinci IQ is one of the years best selling portable vaporizers. One of the big draws that brings people to purchase the DaVinci IQ is the integrated software that allows the device to be connected and controlled through bluetooth. DaVinci is known for their high level of success with the DaVinci Ascent which was one of the best selling portable vaporizers in 2016. You can visit DaVinci here. Dr. Dabber is definitely a brand that should make every top rated vaporizer lists. Dr Dabber boosts a wide range of premium devices and is known primarily for their portable enails. 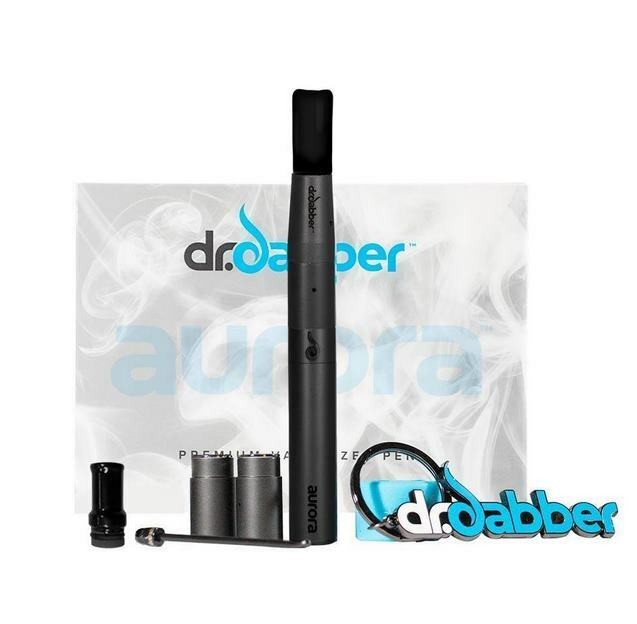 The top products you can get from Dr Dabber are the 'Boost', the 'Aurora', the 'Ghost', and the 'Light'. 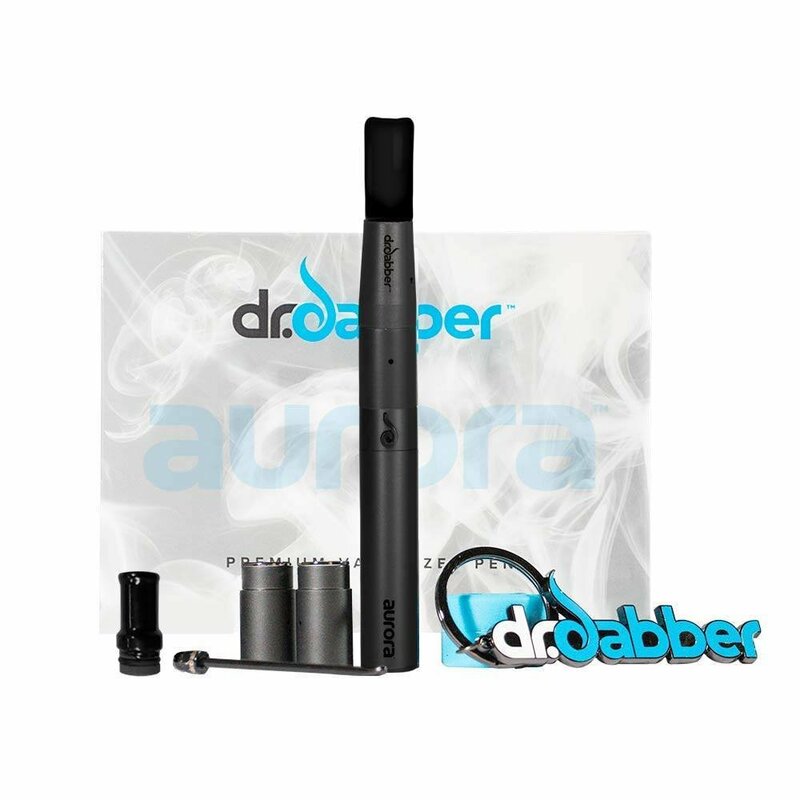 You can visit the official Dr. Dabber website here to browse some of the top vaporizer pens available on the market today. Displayed below is one of the newest portable vaporizers to hit the market. The Haze portable vape is a new 3 in 1 vaping device that consists of 2 ovens and is packed with features. If your looking for one of the most well rounded vapes that can vape dry herbs, concentrates, and liquids the Haze is a device that deserves a closer look. You can visit the Haze official site here. Another good site to look into regarding the best medical cannabis vapes of 2017 is 'quit smoking community' you can view there list here. The Yocan Torch is a portable vaping solution that allows you to turn things like a bubbler/water bong into a vaping unit. If you'd like to get one of these cool little devices you can do so here. Below you will see the Yocan Torch in action (it is just the metal part that you put where your bowl normally goes). Grasshopper portable vaporizers made bit of a splash in 2016 with their lineup of steel and titanium vape pens. The grasshopper devices are very durable - as indicated by there lifetime warranty. If you are looking for potentially the most discrete and stylish dry herb vape pen the Grasshopper might be the one for you. It is however one of the more expensive vape pens on the market and could use a few upgrades or changes. The design, quality and features make this a solid contender for best vaporizer 2017. The two things holding this device back at current time is the battery life and the hot temperature of the vapor as it enters your mouth. The Grasshopper Vaporizer Review Here will give you more details on this device. What does the future have in store for portable vaporizers? The portable vape industry is an ever changing scene. New portable vaporizer companies pop up over night and most vanish as quickly as they entered the market. We can predict based on a recurring history which portable vaporizer makers will stay in the game and build upon their current success. Companies/devices like PAX, DaVinci, Fire Fly, Crafty, AtmosRX, Dr Dabber, Grenco Science, V2, and DipStick Vapes are all industry leaders that have built upon past models. It is interesting to watch each company grow and develop new innovative features in their own niches within the portable vaporizer market. We expect to see the PAX 4, Fire Fly 3, New DaVinci model and many more portable vaporizers in the near future come to market. Most companies keep there new products under wraps until close to launch date. If you wish to be among the first to catch a glimpse of these new devices, subscribe to our e-newsletter. We keep a close eye out and visit the official sites and communicate with many of the companies marketing departments to stay in the know. The Best Vape Pen 2017 is currently the PAX 3 as believe by much of the vaping community. They have created a solid image around their products and offer great customer service that is backed by well made and long lasting devices. Stay tuned for any updates made to this page and new and exciting portable vaporizers that may soon come to market. 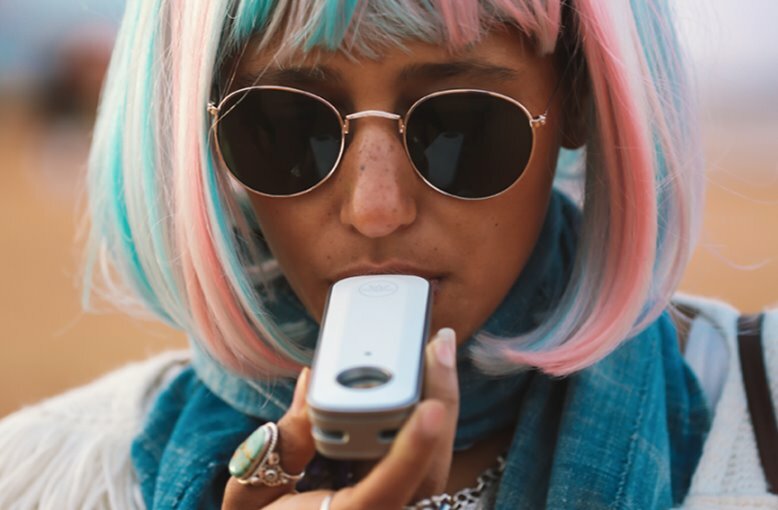 Many people are paying more attention to how portable vaporizer operate and how they can be improved to help do what they do best - create a healthier means to intake cannabis and other vaping materials. The best vape pen 2017 is currently a conduction vaporizer. Conduction vaporizers are able to be built easier and much smaller than convection vaporizers. This is because a conduction vaporizer is where the oven is heated directly and the material being vaped sits in/on the heating element. In the future with advancements in technology perhaps convection vapes will become the more sought after mini portable vaping device. Convection is where the heating element is lower than the oven that hods the material being vaped and is blown up into it. The main benefits of a convection vaporizer is that your material is vaped more evenly and you do not have to stir (at least not as frequently). The Haze Dual V3 vape that we touched on above is a convection vaporizer (and a conduction vaporizer) so this company is definitely one to watch. Their device is a little bit large right now, especially compared to the PAX. But down the road I'm sure Haze will come out with models that only have one oven, are more compact, and keep the convection aspect. As seen in the image above, the Haze Dual V3 comes in an array of colors and looks fairly large for a portable vape. But it is portable and has tons of features. Another convection vape that has been introduced to market that is in the low to mid price range is the Atmos Aegis portable vaporizer. The Aegis is a convection vape designed for dry herbs only. If you are looking for a low cost convection vape to see what all the fuss is about this might be a good starting point. 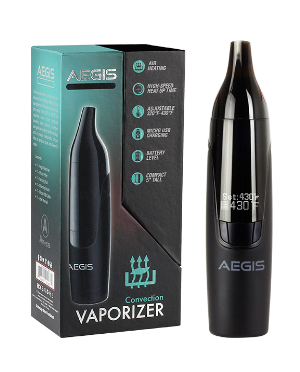 Seen below is the Aegis convection vaporizer. The aegis is not a contender for best vape pen 2017, but due to the nature and industry keeping their eyes out for convection vapes we thought we would share this one with you. You can view the Aegis Kit by visiting the Atmos Official site here. CBD has been around as long as the hemp plant itself, but it has only been in recent years that the 2nd most found compound (cannabinoids) in the hemp plant has made its way to the mainstream circle. CBD may be one of the most effective and widely used medicinal products in the years to come. CBD does does have the psychoactive effects that THC has, this means that CBD will not get you high, no matter ho much you consume. CBD is said to have calming and healing capabilities and is something you will need to try for yourself to see if it works for you. The research on the topic is still hard to come by but many people are showing their support in favor of CBD products. One of the best and easiest ways you can try CBD is by purchasing the Vape Bright Thrive vaporizer. This vaporizer is a starter kit that comes with everything you need including the 100% pure organic CBD oil with no added chemical ingredients. You can use coupon code VSMOOTH if you think this is a product you'd like to give a try and you will save 10% on your purchase. You can visit VapeBright.org to give it a try. Soon to be released is the new GoFire vaporizer. 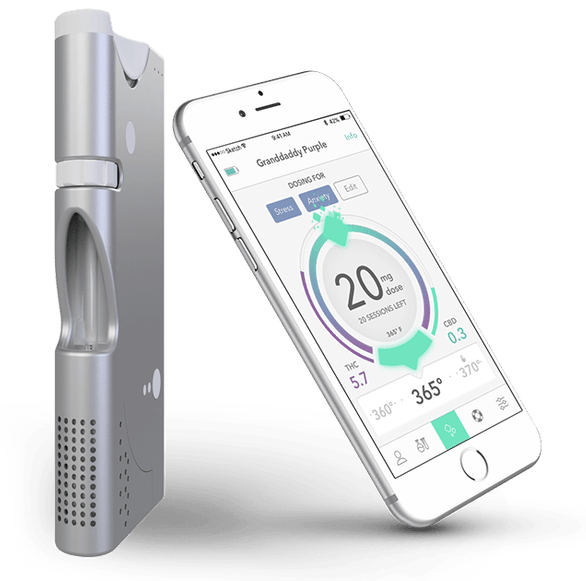 This vaporizer is designed to work with a very sophisticated app and will help to monitor your use. The GoFire vaporizer helps to achieve a desired level of your herbal blend and is meant to deliver micro doses. 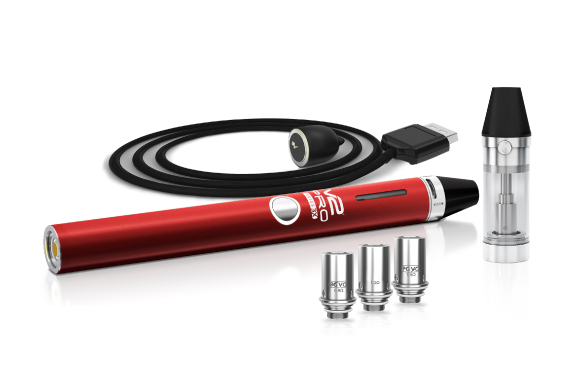 You can read a more thorough review of the GoFire Vaporizer here. 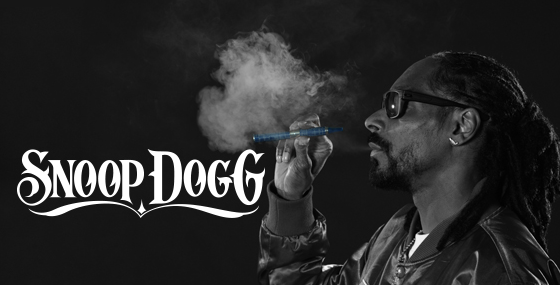 Here we will take a look at some of the industries best vape pen brands. The following article will review the best portable and desktop vaporizers across a number of different categories. We will take a look at the best portable dry herb vaporizer brands, the best portable wax vaporizer brands, the best portable dab pen brands, the best 3 in 1 vape pen brands, and new and innovative vaporizer brands that are just entering the market. Here are some of the best vape pen brands of 2017. PAX has been in the vaporizer industry for nearly a decade now and has become one of the dominant and most well know portable vaporizer companies in the world. 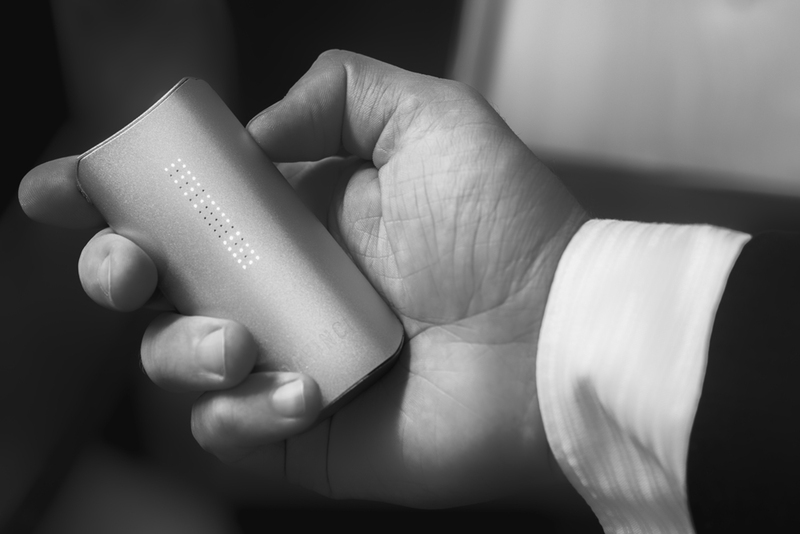 PAX was founded by two Stanford Design University students on a mission to make smoking using the traditional flame way a thing of the past. You can visit the official PAX brand website here. 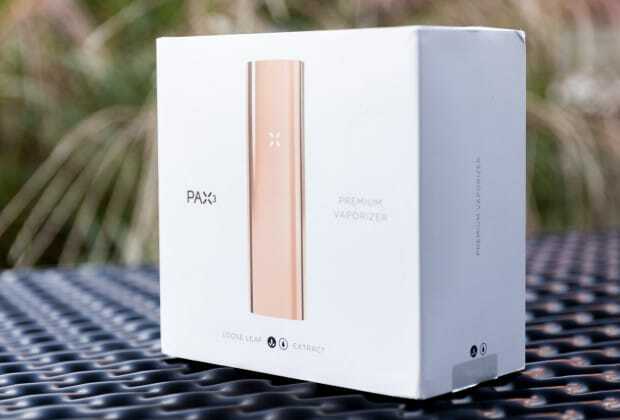 The first model in the PAX line of portable vaporizers were designed specifically for dry leaf material, meaning it only allowed PAX to target a segment of the vaporizer user market. It was only just recently that PAX released their 3rd model which is capable of vaping dry leaf and concentrates. This new and improved device will help the company achieve an even higher level of success and allow more cannabis users to use their devices. PAX is known for making an ultra small, high quality, fashionable product. Customer of the PAX brand of vaporizers highly recommend their products. Backed by a 10-year warranty, this is one of the top portable vaporizer companies out there. PAX has created a premium product with a premium image. The sophisticated feel, internal software, and overall quality of the PAX 3 makes it a pretty cool device to have. You can shop the PAX Portable Vaporizers here. Displayed in the picture above is the newest vape pen in DaVinci's line up of portable vaporizers. DaVinci is one of the worlds best vape pen brands and is said to have some of the smoothest vaporizers on the market. Many vape enthusiasts pit the PAX 3 and the DaVinci IQ as the best portable vaporizers for dry herbs. You can visit the official DaVinci site here. Firefly is one of the more expensive vaporizers. The Firefly 2 is a very popular device, it is one of the most compact convection vaporizers and has on demand heating. The Firefly 2 is app compatible and boosts one of the better vaporizer apps that are currently available. You can read more on the Firefly﻿﻿ Vaporizers here. DipStick Vapes and the 'Dipper' are making a name for them-self in the cannabis industry as of lately. They have released a new innovative style of dab pen that allows users to dab as well as convert the device into a suction style oven concentrate pen. This device comes highly recommended and looks to be an enjoyable experience in the world of portable vaping. You can view this vape pen here. CLoudious9 is new vaporizer company that has brought to market a portable water vaporizer that looks like a bong from the future. The Hydrology9 is the companies staple device and is an immediate hit in the world of portable vaporizers. This is a unique vaporizer in comparison to the others listed on this page, the Vape Bright Thrive vaporizer is one that comes with pre filled CBD cartridges. CBD is a compound found in hemp that is said to provide all the same health benefits as THC but with no high effect. That is to say that their is no phscoactive effect given from cannabinoids (CBD). There is currently not enough research on CBD to say for sure that it delivers health benefits, similar to the research on THC. But many people claim that CBD provides health benefits for a wide range of health related issues. The best way to find out is to try CBD oil and see if its something that helps you. CBD is a legal to purchase and use compound and again does not get you high. The Vape Bright CBD oil is 100% organic and comes pre filled with a reusable vaporizer. You can learn more about this CBD product here. You can also use coupon code VSMOOTH for 10% off your purchase. Atmos RX is a pioneer and giant in the portable vaporizer industry. Atmos has a different type of approach than that of PAX in a number of ways. 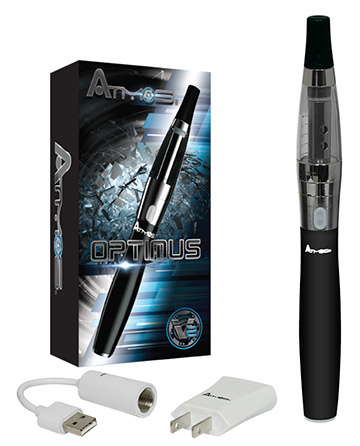 Atmos has a much larger product line that includes many mods and attachments. Atmos manufactures products for dry herb, BHO, wax, dabbing, mods, tanks, and vape juices. Atmos vaporizers are back by a 5-year warranty. Atmos prides themselves on superior customer service and arguably have the best in the industry. Products from Atmos are in the mid price range costing anywhere from $20 up to $200. You can browse the newest products by Atmos: Here. With ultra portability and arguably the most practicability the 3 in 1 vape pens from V2 are the most sought after portable vaporizers on the market today. Having the option to use one device to vape all mediums is a huge feature to have in a portable vape pen. The V2 series 3 and series 7 can both vape dry leaf, concentrates, and e-liquids. You can enjoy an all round vaping experience from the V2 Vapes pens. If your interested in knowing more about the V2 devices, check them out here. Coming in as the 3rd best brand to shop when in the market of portable vape pens is Dr. Dabber. This brand boasts high-quality fun products again targetted for a younger (of age) audience. Dr. Dabber has brought to market a solid vape pen that helps to minimize health risks without sacrificing the natural flavor. Something that sets this brand apart from both numbers 1 and 2 on our list is the Glass-work products that can be purchased and enjoyed. You can add to your device with cool designed glass blown products. Also from Dr. Dabber you can embrace the brand with apparel such as hats and hoodies. The main product line at Dr. Dabber is said to be one of the best vape pens in the world. Dr. Dabber only offers a 1-year warranty on their product which is far less then PAX and Atmos. Customers still seem very happy about their purchases and enjoy the experiences that they get when vaping there desired dry herb or concentrate. The cost of this brand is in the mid-high category, which is right where they should be for the great products that they offer. You can view some of the popular Dr Dabber products here. Grenco Science is one of the best vape pen brands in the world of portable vaporizers. Grenco has collaborations with artists such as Snoop Dogg, Wiz Khalifa, The Game, Taylor Gang, and many other popular celebrities in the cannabis community. Grenco makes affordable quality devices that are rated among the best in the industry. You can browse portable vaporizers from Grenco here. This is really a personal opinion and depends greatly on what medium of material you prefer to vape the most. It also depends on specific features that mean more to you than other features. For example if you are after overall vapor quality than you will likely feel that a company that makes a bit larger convection portable vaporizers is the best, while someone who is after a very discreet device will want one that is very small and therefor will likely be a conduction vaporizer since the layout can be more compact. In order to discover what the best vape pen or vape pen brand is for you, you will need to answer a number of questions to figure out what it is that you are after. 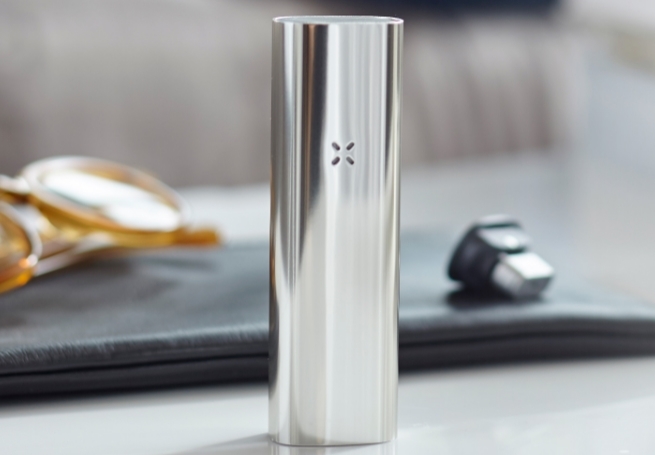 The PAX 3 Portable Vaporizer is the newest addition to the PAX line of devices. This new model unlike versions 1 and 2 is designed for both loose leaf and concentrate extracts. This is the first vaporizer from the PAX brand that will cater to the rapidly groing conentrate user base. The New PAX vaporizer comes with the PAX standard 10-year warranty and free shipping. The PAX 3 has a few built in games that make this device very unique in an industry packed with portable vaping devices. To activate the games of the PAX 3 you simply rotate the device in your hands in the same fashion that you would roll a joint. The first game is one that can help you decide decisions - the PAX will randomly select a direction and you can apply rules to what the PAX is pointing to, similar to how spin the bottle will decide who has to do something. The second game is a movement skill set where you need to tilt the device in certain direction to avoid the red lit up pedals of the PAX logo in the center of the device. The final game uses pattern recognition and the device will keep track of your movements, than you need to replicate your movements but add an extra step, the device will keep going as long as you do not mess up, this game can be played as a group or by yourself to pass the time. 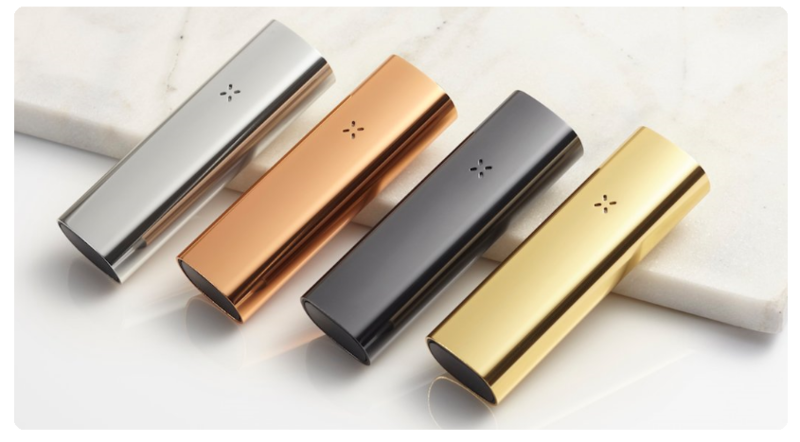 The PAX 3 is designed to be much safer product while vaping on the go then most other portable vaporizers. A safety feature built in is that when the device turns on and heats up to its set temperature the device will vibrate similar to your phone when on vibrate mode. This allows you to feel and be alerted that the device is ready, or that the device was turned on by accident and it is trying to get your attention. Something unique that sets the PAX 3 apart from the crown is the special vaping modes you can have it set to. Boost, efficiency, stealth, flavor are all modes that will cater to your current preference. The stealth mode makes the PAX 3 one of the most discrete vaporizers on the market. 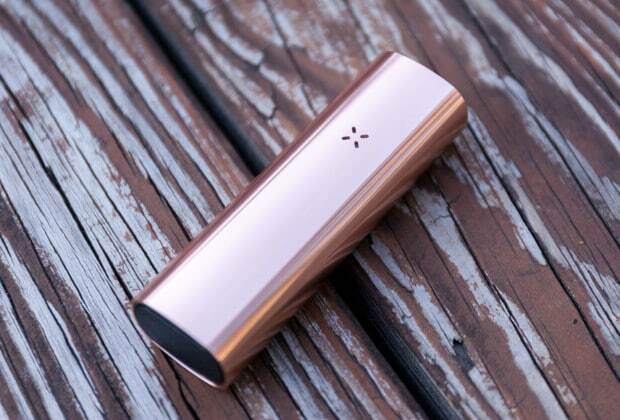 The PAX 3 has been built with smart technology and motion sensors. The device is designed to heat up when you bring it to your lips, and it cools down when it leaves your lips. This makes the device a autonomous heating unit that works to optimize your sessions and save on material used. By heating the dry herb or concentrate on demand it is ensuring that you get the most out of your cannabis products. Finding the best portable dry herb vaporizer can be a difficult task if you don’t know what to look for, especially since every day we see more and more investments in the cannabis industry that lead to new technologies that are constantly developed. In such a fast-changing and yet a very new scene, one can easily lose them self and later doubt the choice they made. That is why we have decided to help you understand what you should pay attention too when choosing one, along with some examples of best portable dry herb vaporizers. A dry herb vaporizer is a convenient, portable way to benefit from marijuana without inhaling dangerous smoke. It is a perfect solution to use with dry herbs and it is extremely compact so it can fit inside your pocket. You can use your portable dry herb vaporizer with many different materials, from dry herbs used for vapor therapy to medical marijuana, as well as dry leaf tobacco. The PAX line of vaporizers has recently seen a huge price drop. PAX is one of the worlds most popular and well known vaporizer brands and regarded as one of the best portable dry herb vaporizers. The model 3 has a app that works with your phone or tablet to help monitor and control your device. 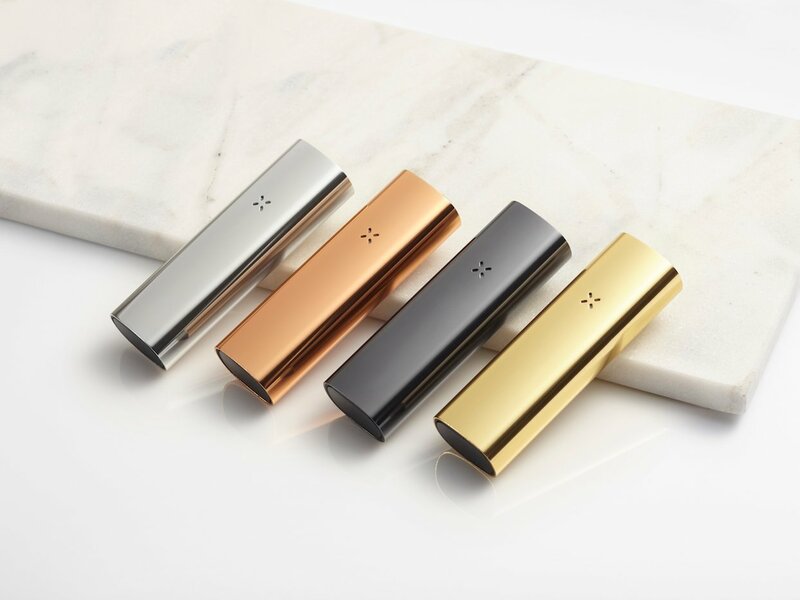 The PAX 3 heats up very fast and is one of the most compact portable vaporizers on the market. You can visit the official PAX website here. The Firefly 2 is a premium compact portable vaporizer that uses on demand convection vape technology. The Firefly 2 is one of the most popular vaporizers on the market and has app connectivity. 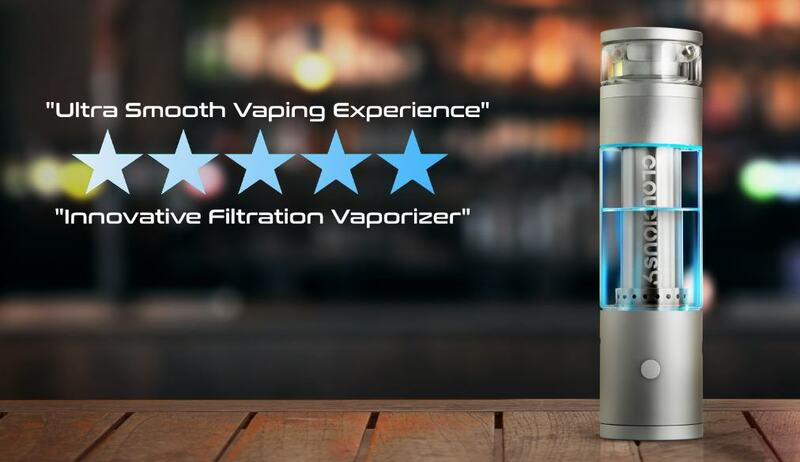 The Hydrology 9 is a new innovative water filtration vaporizer that has been designed to give a nice clean and smooth hit. This device has features not seen in any other portable vaporizer such as patent pending water filtration, micro chip heat sensors, lava lamp and party mode with LED lights. Built into the oven lid is an internal stir stick that you can use to mix up your material while vaping. The Hydrology 9 is the ultimate bong. Click on the link above to read a more in depth review o this cool looking futuristic portable water vaporizer. 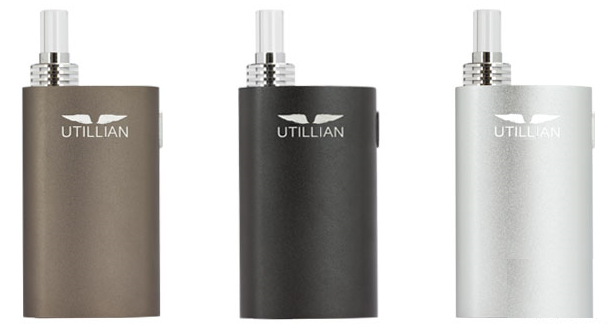 The Utillian 721 is a vaporizer that is growing in popularity. 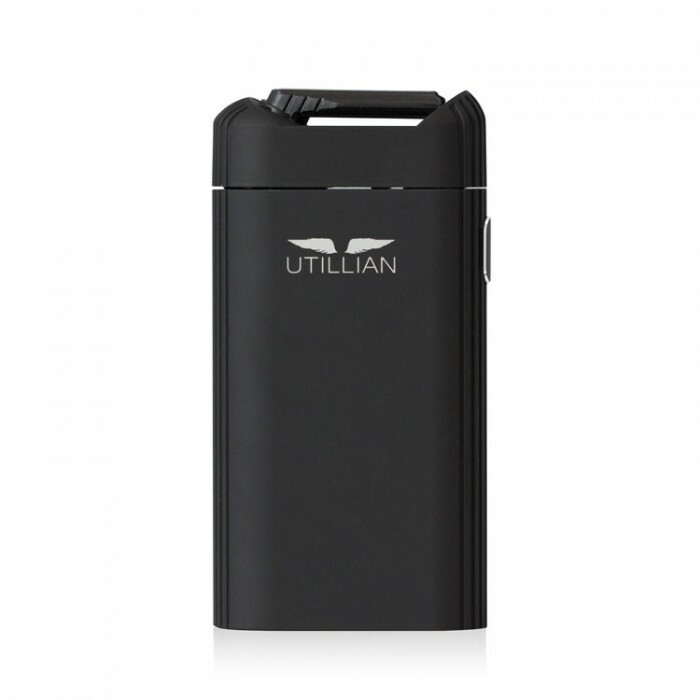 The Utillian uses convection heating to evenly vape your material and lower the chances that your material will combust. The Utillian 721 has been compared to the industries most recognized devices such as the Mighty and Crafty. The Mighty and Crafty from Storz and Bickel are long time favorites in the world of portable dry herb vaporizers. The reason these are currently not at the top of our list is that they have stayed the same while the industry has been growing and evolving around them. New devices have very strong build quality and vapor performance while the cost of new devices has come down. Devices such as the Utillian 721 above can be purchased at a fraction of the cost of the Mighty and Crafty vaporizers. 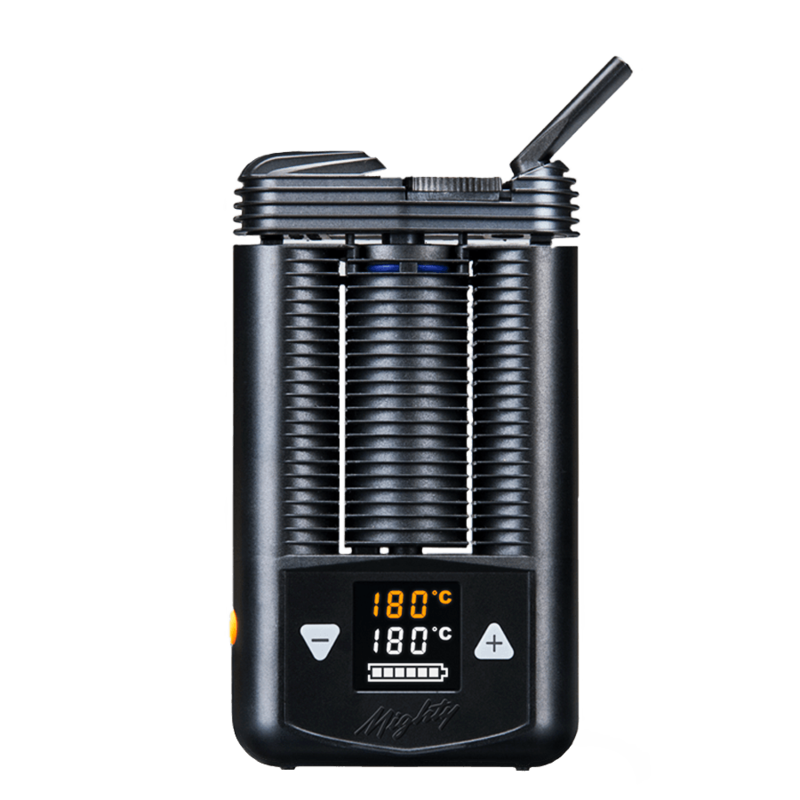 The Utillian ﻿420 is one of the top devices in the best vaporizers under 100 category. Made with high quality materials and topped off with a glass mouthpiece for only $89 the 420 is one of the better deal you will find that still delivers strong performance. Portable vaporizers are getting more advanced and are now being designed with integrated software, bluetooth and app connectivity. You are better able to monitor your use and take doses more carefully to get your desired effect. We have an article that discusses in more detail where smart vaporizers are heading and some reviews on the best ﻿﻿n﻿﻿ew smart vaporizers. What are some benefits of the best portable dry herb vaporizer? Using a vaporizer may provide long-term benefits for your health in relation to using combustion methods. It is a cool technology that comes in many different styles and colors, with new products being released constantly - Choosing the best portable dry herb vaporizer should be fun. How to choose the best portable dry herb vaporizer? You need to consider a lot of important things when you're trying to choose the right portable dry herb vaporizer for your needs. First, you should know to make a distinction between a conduction and convection vaporizers. Conduction dry herb vaporizer has a heating element that is in direct contact with the herbs you use, causing the vapor to be produced in a fast manner since your material is so close to the heat. Conduction heating is important for most medical marijuana products for vaporizers, so you will have bigger cannabis selection if you choose conduction vaporizers. Convection portable vaporizer has a heating element that is not touching your herbs, which means that the air gets hot inside the chamber where it warms the material. This provides you with a steady stream of vapor. Now that you know the basic difference between conduction and convection you can consider other things that can help you make an informed decision for your purchase. Chamber size is important because it determines how long you can use your vaporizer before you need to refill it. Depending on your needs you may want a smaller chamber so you can limit yourself and vape micro doses instead of large quantities. Battery longevity differs from model to model and can be recharged in different ways, like USB cords and wall adapters, or DC adapters for car charging. Battery life continues to improve and I imagine in a few years vaporizers will have batteries that will last far longer than we need in between charges. For now it is still an important aspect to think about when choosing between the best portable dry herb vaporizers. Size is usually in direct correlation with chamber size and battery power and bigger models are better in those departments but are not as discreet and easy to carry as smaller ones. The PAX 3 is one of the devices that challenges this and has both a compact design with a powerful battery. Warranty length is a good sign of vaporizer quality and the best portable dry herb vaporizer should come with one of the industries top warranties. The vaporizer industry is always coming out with new devices. If you would like to see some of the new concept devices and new highly anticipated vaporizers that will soon be available to be purchased you can read our article on new vaporizers coming soon here. The best oil pen vaporizer does not mean its also the most expensive vaporizer. You can get a really well made oil vaporizer for under 100 dollars and even some pretty good ones under 50. Portable vaporizers are relatively cheap to make and depending on the materials and extra features built in the cost to make one is not that much. and even some good ones for under 50 bucks. Continue reading to see what some of the best oil pen vaporizers are that are currently available and perhaps some that are just coming to market. If you were unaware that 3 in 1 vape pens existed, than this is a good place to start. This might even be a smarter way to go if you intend on vaping multiple types of material and plan on getting just one vaporizer. Seen in the image above is the most affordable 3 in 1 vape on the market that we have been able to find. The new Atmos complete kit (as seen to the left, or above on mobile) is perhaps the best vape deal you can find at just $39. This device can vape dry herbs, concentrates such as wax's and oils, and e-liquids. It is a total vape package that's straight forward and easy to use. It comes with the ceramic heating chamber and the liquid cartridge. You can view this and many others on the Atmos site here. You can view a few more 3 in 1 vape pens here. Atmos offers a solid line of oil vaporizers for under $100. 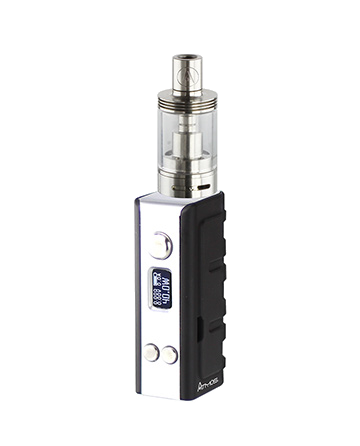 Some of the top sellers include the Optimus V2 Kit, PIQ Kit, and the Ole Oil Vape. You can see each of these oil pens below. As seen to the left or above is the Optimus V2 Essential Oil Vaporizer Pen Kit. The Optimus has a simple and trendy design featuring soft curves for a relaxed grip while vaping. The tank has a measuring indicator scale that enables you to see the exact amount of oil left. This scale allows you to learn how much oil you use and to plan ahead accordingly for you day or trip. The cartridge is made with a unique wick-less chamber that heats oils evenly and efficiently. This vape pen has stood the test of time and is still one of the best on the market. The Optimus V2 E-Liquid Pen Kit is only $54 and comes with all the things you need to get started including a USB-charging cable and wall adapter. You can get the Optimus Kit Here. Looking for a Vape for E-Liquid? If you are looking for a e-liquid vaporizer for flavored juices than you might be looking for something like this. 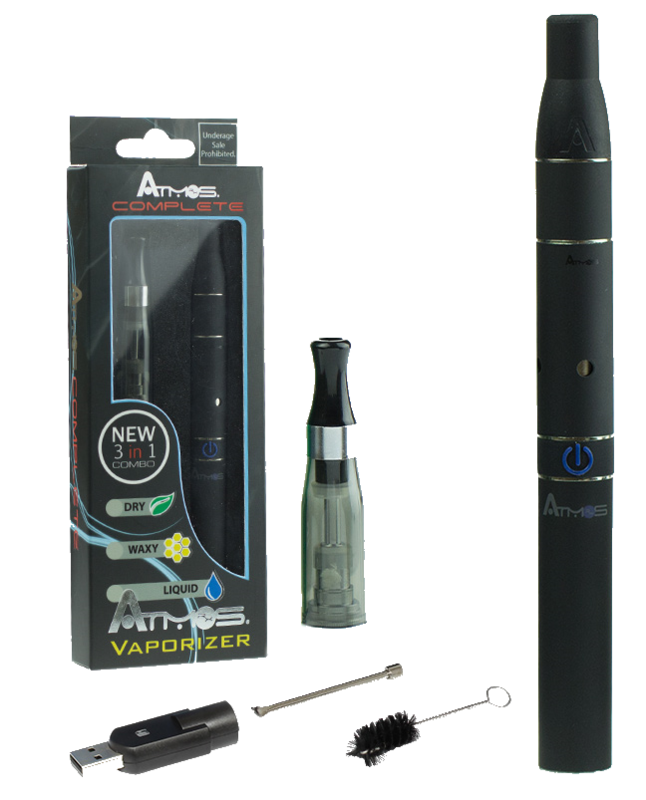 The Atmos starter kit is an easy to use entry level product. This is a starter kit that you can buy for a very reasonable price. It comes with a micro USB charger and manual that is easy to follow. The device itself is pretty self explanatory and you should have no troubles getting used to it. You can view more on this starter kit here. Since vaporizers is an umbrella term and can be used with dry herb, waxes, oils, and e-liquids you should first make sure that the pen you are looking to buy is compatible with your preferred medium. The second thing you should pay attention to is the quality and durability of the product and check out other customers reviews. Price is also an important factor and you don't want to spend money on a product where the cost out weighs the value. Remember that the best oil pen vaporizer is not always the most expensive one. 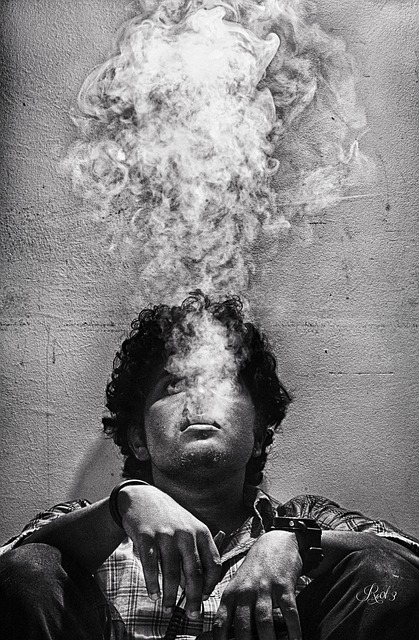 Vaporizing materials instead of lighting them on fire is said to have less harmful affects on the human body. This is because vaporizing eliminates much more tar and carcinogens from the cannabis by heating it at lower temperatures than combustion helping to provide you with a healthier alternative for your lungs. Oil pen vaporizers, similar to many portable vaporizers have a very sleek look and are simple to carry around. Vaporizers draw less attention than smoking a cigarette or a joint since they also don’t produce as much smoke and they also create less of a smell. Using a vaporizer allows you to better taste the flavor of your medium which can be controlled by turning the heat up and down. For more information on portable vaporizers and to read the newest product reviews please visit our article on Smart Vaporizers - A Comprehensive Guide to the Best Portable Vaporizers.